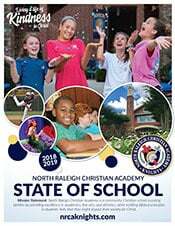 The Admission Application Process Checklist is a great tool to help you understand the steps involved in applying for Admission to North Raleigh Christian Academy. Please be sure to visit the other pages on this Admissions site to verify dates and times for Prospective Parent Information Meetings and Admissions Testing dates. ✓ Application: Click on the online application link on the NRCA website (Admissions/Application Process). You will need to create an account to utilize the NRCA application portal. Login to the portal to complete and sign the online application. ✓ Payment: Once you have completed the online application please mail or drop off payment (check made payable to NRCA or cash). If selecting the full payment method, pay the Registration fee plus the non-refundable $100 Application fee.If selecting the monthly payment method, pay the monthly tuition/fee amount plus the non-refundable $100 Application fee. 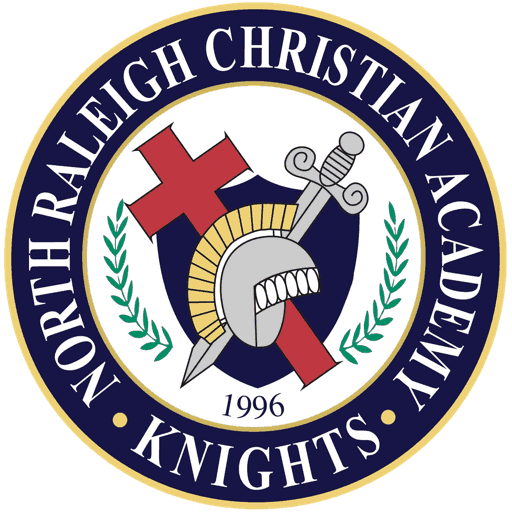 ✓ Birth Certificate: Upload a copy of the student’s birth certificate via the online application portal at the time of application or mail, email (admissions@nrcaknights.com) or drop off a copy after submitting the online application. ✓ Student Medical Immunization Record: All students applying for K5-12th grade must complete the online Medical Information section of the application and upload a copy of up to date immunization records provided by your physician.In addition to the medical information provided in the application and the immunization record, ALLK5 students accepted to NRCA will need to provide proof of a Kindergarten physical. Your doctor will provide the NC Health Assessment Form for Kindergarten.The form must be completed by your doctor and turned into the Admissions Office by the first day of school. Your K5 student will be unable to attend their first day of school unless a physical form and up to date immunization records are on file. 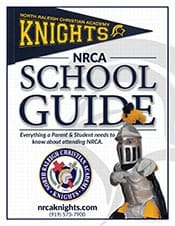 ✓ Report Card: Upload a copy of the previous year final report card and the most recent current year report card via the online application portal at the time of application or mail, email (admissions@nrcaknights.com) or drop off a copy after submitting the online application. ✓ Admissions Testing: Students applying for 1stthrough 12thgrade admissions must provide current Stanford 10, California Achievement, Iowa or, Terra Nova test scores that are less than one year old. Any other testing cannot be accepted for Admission purposes. Students applying for Kindergarten do not need to be tested. If the student cannot provide current testing, please sign up for one of the test dates (see the Testing page under Admissions for a complete listing). The Admissions Office must receive the onlineNew Student Application along with payment($100 Application fee plus the Registration fee OR the $100 Application fee plus the first monthly payment) three days prior to the testing date. Please call the Admissions Assistant at 919-573-7900 ext. 1677 to place your student on the testing calendar. An interview cannot be scheduled if testing has not been received or administered. ✓ Student Confidential Evaluation: (K5, 1st-5th, or 6th-12th)Upon completion of the online student application, you will receive a link to the grade level specific Confidential Student Evaluation form. Please forward the email to your student’s teacher with a request for them to complete the form on behalf of your student. 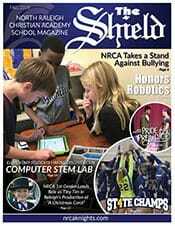 The teacher will click on the link in the email and complete the evaluation form online. The form will be submitted directly to NRCA electronically. ✓ Pastor Reference Form: Upon completion of the online student application, you will receive a link to the Confidential Pastor Reference form. 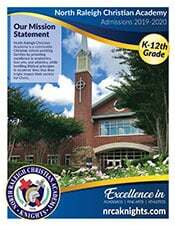 Please forward the email to your pastor with a request to complete the form on your student’s behalf. The pastor will click on the link in the email and complete the evaluation form online. The form will be submitted directly to NRCA electronically. ✓ Prospective Parent Information Meeting: At least one parent or guardian must attend a Parent Information Meeting. Attendance is required each year, even if you have attended a previous year meeting. 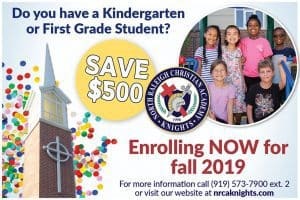 This is only for new families to NRCA. Sibling families do not have to attend. No reservation is required and this meeting is open to the public. This meeting is intended for parents and middle and/or high school students only. Due to the length and nature of the meeting, we ask that parents not bring infant, pre-school or elementary students. ✓ Student Handbook: Parents are expected to review the Student Handbook, prior to beginning the application process. This will allow parents and students an opportunity to understand and become familiar with established school policies and procedures. ✓ Admission Tracker: Access the Admissions Tracker via your online application portal to get updates on the status of your application. ✓ Transcript /Records Request Form: For all 1stthrough 12thgrade applicants, parents will complete and sign the Transcript/Records Request form at the time of interview. Transcript/Records will be requested by NRCA if the student is accepted, after the completion of the current school year. ✓ Interview After completion of these requirements, an interview will be scheduled with the appropriate principal (Elementary, Middle or High). If you have multiple children applying, the interview will be scheduled with the oldest applicant’s principal. Middle and High school applicants must be present for the interview. Elementary students do not attend the interview. Interviews begin in December for Kindergarten. Interviews for 1st through 12th grade usually begin in late January, after the re-enrollment process for current NRCA students is complete.